The software serves as a multifarious solution by enabling users to migrate Domino mailbox to Exchange or Outlook and also user can perform Lotus Notes to Outlook or Exchange conversion. Software is engineered with collaboration of self-descriptive interface and techniques for unflawed data migration. The captivating attributes of the converter is to fulfill the need of conversion from Lotus Domino to Exchange Server with the execution of batch file conversion. Software will convert entire database from Lotus Notes to Outlook with preserving the integrity of original data. It will create different PST file size if data will exceed the limit of 20 GB. With this software user can migrate Lotus Notes database to Exchange effortlessly. But installation of Lotus Notes and Live Exchange server environment is necessary for successful migration. Software smoothly convert multiple Domino mailboxes to the Exchange Server and create separate PST file for different Domino mailbox. But it need environment of Domino and Exchange. User can convert Domino mailbox to Outlook readily without limitation of any file size. Software will run only when your machine installed with Outlook and having environment of Domino. Software implemented with the robust features to open Encrypted NSF files of Lotus Notes database in Outlook and Exchange Server while we are going to convert from Lotus Domino to Exchange. Using Filter we can exclude unwanted data while convert Lotus Notes database to Exchange and can omit standard folder of Lotus Notes emails by check them corresponding to their names. Lotus Domino to Exchange software gives you the assurance not to make any changes regarding the integrity of software and there is no limitation to convert data of Lotus Notes file size. Software can migrate bulk mode of conversion from Lotus Domino to Outlook Exchange. It has ability to create separate PST file size if there are multiple Domino mailboxes are to be migrated. Necessity to migrate Domino mailbox to Exchange arises because as we all know that IBM Lotus Notes together with Domino Server delivers a dependable platform to the users for e-communication. But the high investment requirement for working with this advance application sometimes acts as a drawback for the organizations that end up with the decision to move on to another simplified and cost-effective application like Microsoft Outlook and Exchange Server. In such situations, need to Convert From Lotus Domino to Exchange Outlook arise. Listed below are the features of software that definitely reached your expectations. Efficiently convert Lotus Notes database to Exchange Server without harming to original data. Software provides conversion of Lotus Notes database to Outlook PST format. Proficiently migrate Domino mailbox to Exchange Server. Support conversion for Domino mailbox to Outlook. Ability to Decrypt Encrypted Mails smoothly. Deliver Bulk conversion of data from Lotus Notes to Outlook or Exchange. Filters can be applied to 3 main categories like Emails, Calendar and To-do to omit unwanted data. Preserve the entire Meta Data of NSF database like Internet Header, Links, images and others. Is it necessary to stay connected with Domino Server while Lotus Notes to Exchange migration? Can this software is able to open my encrypted mails in Outlook after conversion? Yes it's the significance of our software that it smoothly converts encrypted mails from Lotus Notes to Outlook and user can open them readily after conversion. Which version of Lotus Notes does this software support? The current version of Lotus Notes with version 9.0 and all its below versions are supported by this software. Is there any constraints regarding the data size for migration? No there are no limitations for the data size. Users are free to migrate domino mailbox to Exchange unlimitedly. What types of welfare did I get with the trial version of software? With the Lotus Notes conversion user can migrate 1 NSF file of size less than 500 MB and with Domino to Outlook conversion user can convert 5 mailboxes to Outlook and with Domino to Exchange Server user can migrate 15 items. I must say the software is fabulous as it contain all the desired properties at once. I don't need any other software to do the conversion. Truly said I am grateful to the team who made this astonishing software. Speechless…. The working process of the software is damn good. I am looking forward to migrate Domino mailbox to Exchange Server it helps me a lot as it migrate multiple mailbox to Exchange server within few minutes. Amazing Software I must say the development team has done a great job. As I take a look at the features of Lotus Domino to Exchange migration software I am surprised that it's really a package of migration at a very affordable price. I am thankful to God who gives me the fruitful result of searching on the internet as I found this quality riched software. 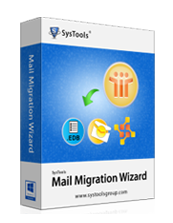 It provides different ways of migration as well as it open my encrypted mails in Outlook very smoothly.